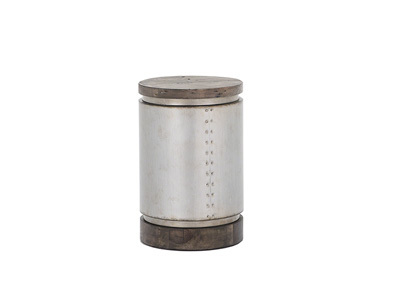 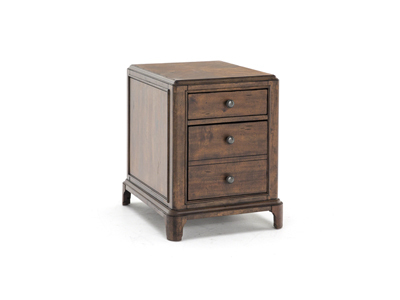 This beautiful brown finish with heavy distressing and burnishing creates an uneven relaxed appearance to reflect years of wear and tear. 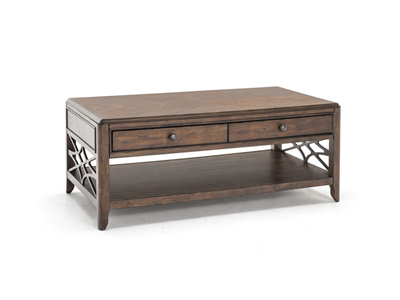 This finishing technique blends a medium brown base with highlights underneath to invite a relaxed lifestyle. 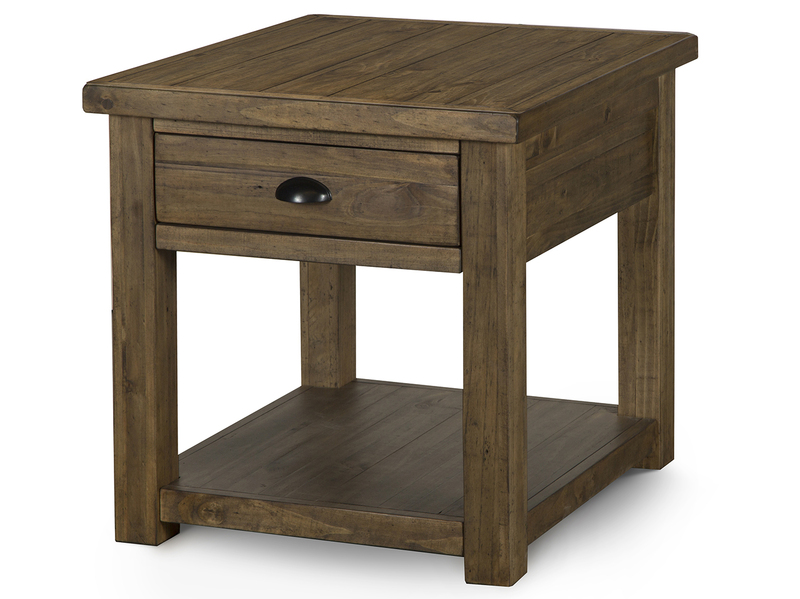 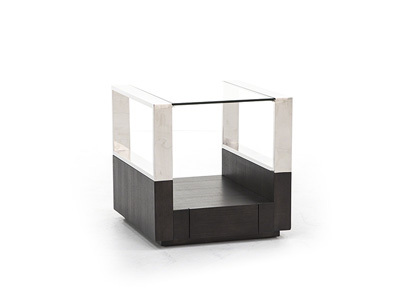 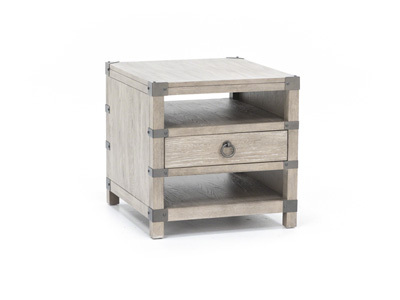 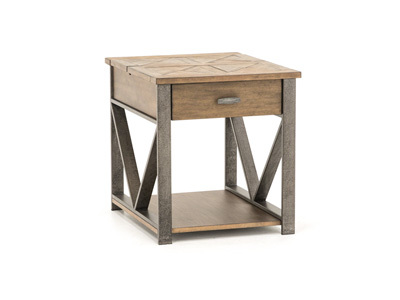 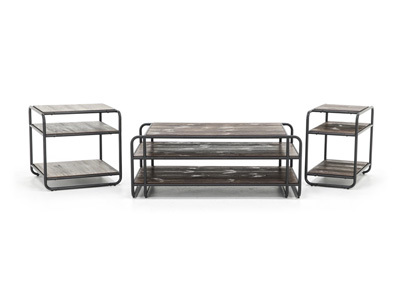 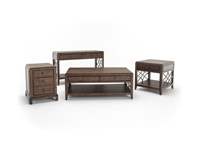 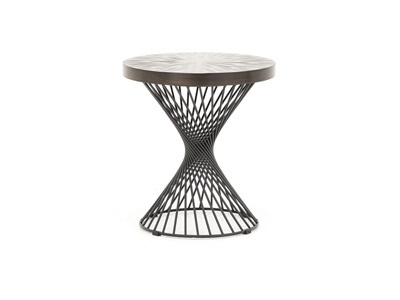 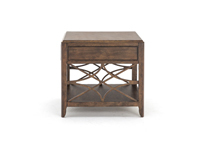 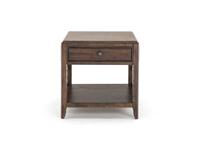 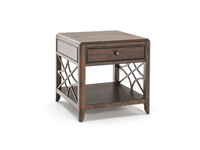 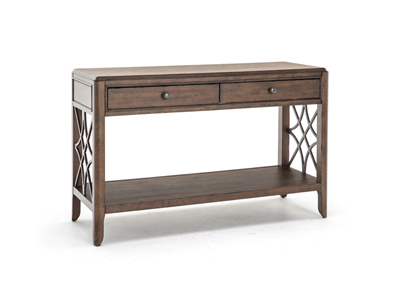 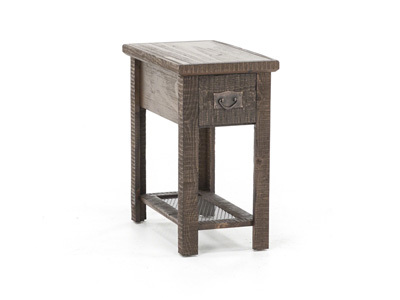 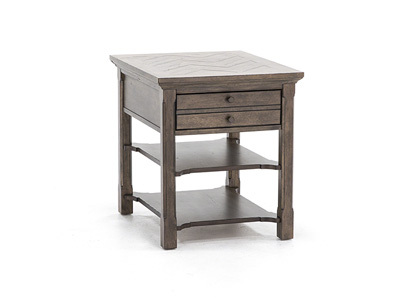 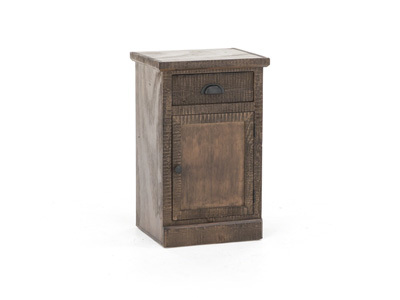 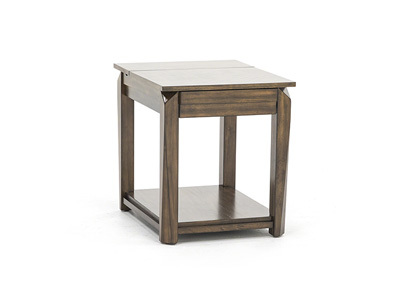 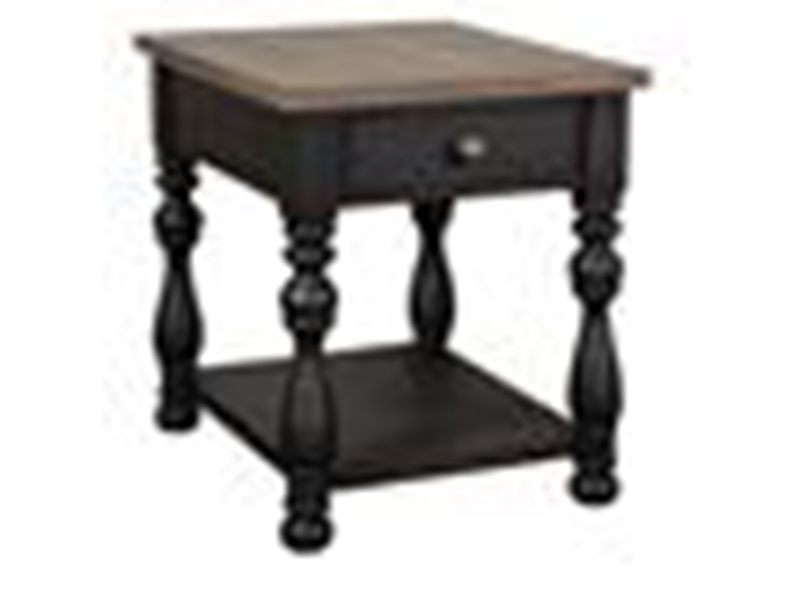 The Trisha Yearwood Georgia Rain end table is an easy finish to live with if you enjoy comfort!